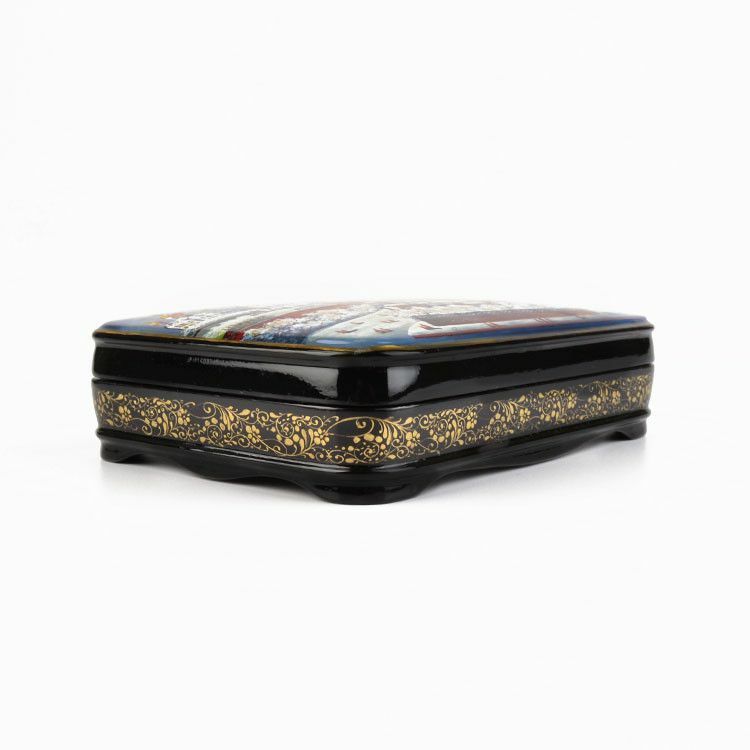 This impressive papier-mache lacquer box was beautifully painted in the village of Fedoskino. 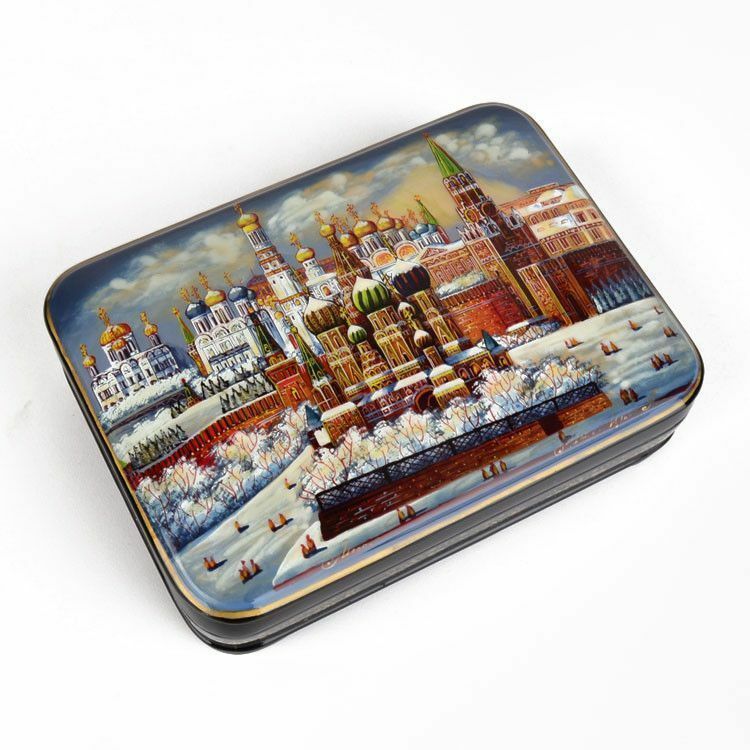 It features an iridescent view of Russian architectural domes during Winter. 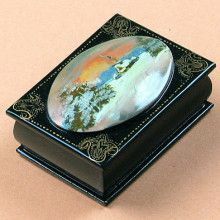 Its smooth extraterior is covered with several layers of fine black lacquer. 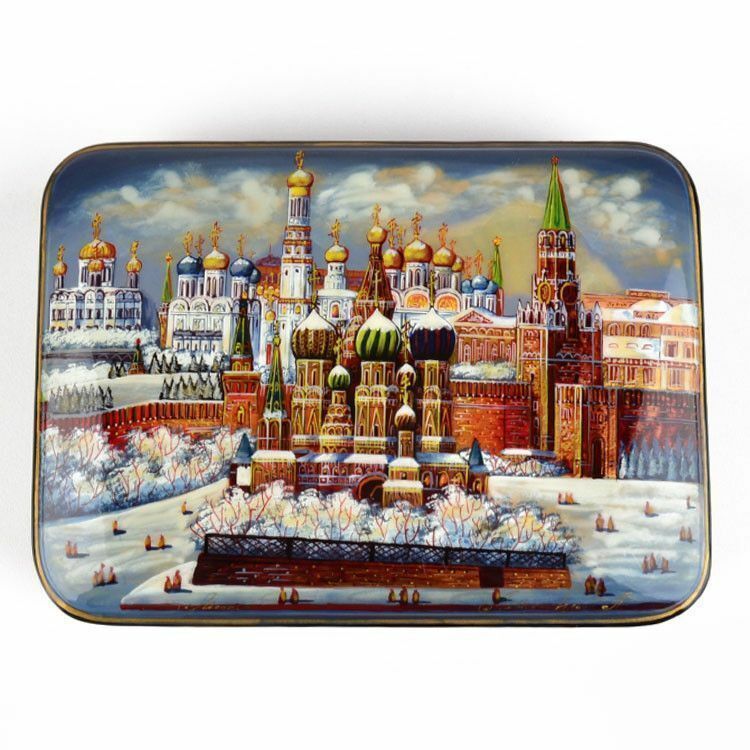 The skilled artist signed the front with the tile "Moscow" and the signature "A. 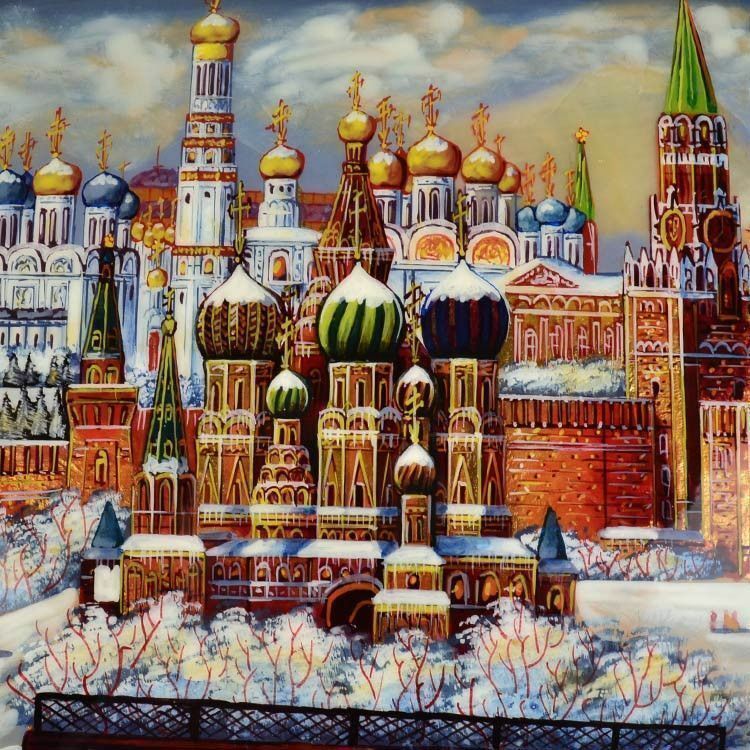 Ilyin." 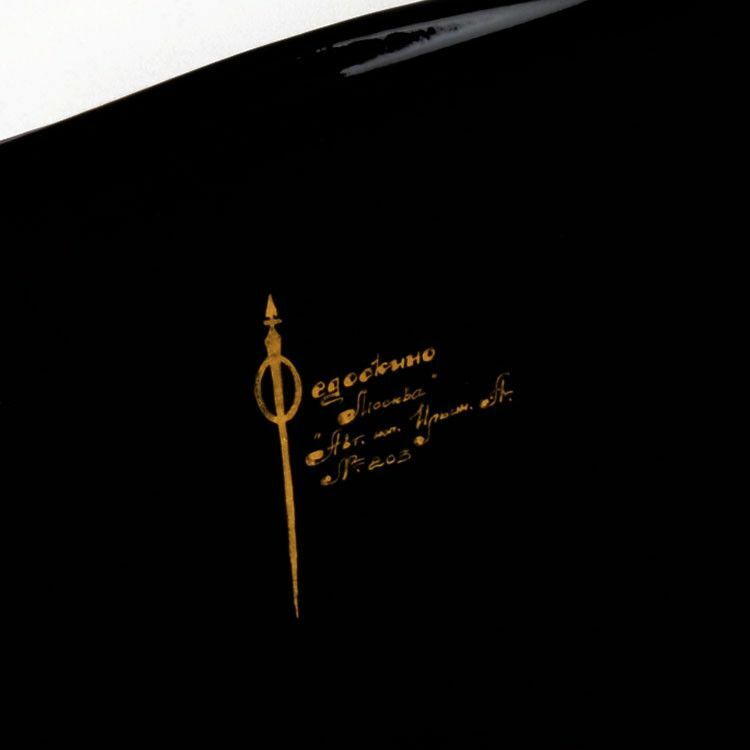 The back bears the official Fedoskino stamp. About 6" x 4" x 1 1/2"